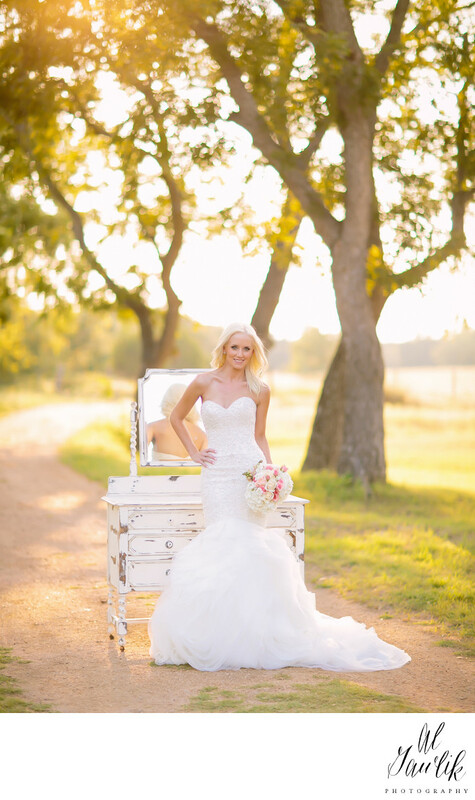 Texas Wedding Photographer Wow, Wow, Wow! The path at the edge of the woods sweeps to infinity but the bride in the foreground has our total attention. What an interesting picture with the mirror showing us the back of the gown while our eyes are filled with the bride and world flowing around her. The mottled shade from the tall trees at the edge of the path help to soften the edges of everything around the bride. This image works on so many levels and the result is a bridal portrait for the ages.